Netanyahu has the possibility of a 3 front war to take into account. After 460 missiles were fired from Gaza into southern Israel on Monday and Tuesday with the Israeli air force responding by bombing 160 terrorist-related targets in the Gaza Strip, Hamas and the Israeli government finally agreed to a new ceasefire late Tuesday afternoon. The decision not to launch a new ground offensive against Hamas and the other Palestinian terrorist groups in Gaza led to great anger among the Israeli public and enraged the residents of villages and towns in the Gaza belt in particular. A poll which was published by TV Channel 2 in Israel on Wednesday evening showed that three-quarters of the Israeli public felt that Prime Minister Netanyahu and Defense Minister Avigdor Liberman had mishandled the new crisis in southern Israel. At the same time, residents of the Israeli communities, towns and cities in the area around Gaza staged demonstrations during which car tires were burned while demonstrators demanded the resignation of Prime Minister Netanyahu. The protesters said they were fed up with living under the constant threat of missiles and other terrorist activity which has virtually ruined their lives. On social media in Israel, meanwhile, all kinds of sarcastic jokes were circulating in which the Prime Minister was portrayed as a coward and as a leader who constantly postpones important decisions. At the same time, members of the Israeli security cabinet, who discussed the security situation in southern Israel for more than six hours on Tuesday, tried to distance themselves from the decision not to enter into a new ground offensive against the terrorist organizations in Gaza. The political crisis was aggravated on Wednesday when Minister of Defense Avigdor Liberman announced his resignation and justified his step by claiming Netanyahu's decision was a "capitulation to terror". Liberman, however, repeatedly made clear he was against a new war with Hamas during the ever escalating terror campaign which started more than seven months ago. His resignation must therefore primarily be seen as an attempt to save his damaged image and his political career. Minister of Education Naftali Bennett, the leader of the Bayit Hayehudi party, also denied that he had been supporting the ceasefire decision and later demanded the Defense portfolio after Liberman’s resignation. 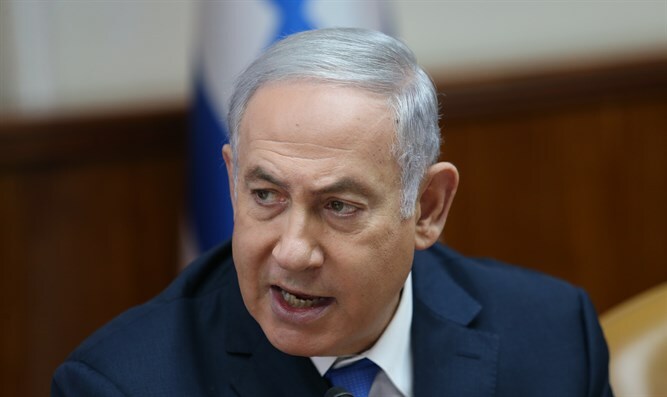 His Bayit Hayahudi faction subsequently announced that if Prime Minister Netanyahu did not give in to this demand, the party would also quit the coalition, thereby triggering early elections. "I can not elaborate on our plans for the future but we will determine the right conditions and the right times for the State of Israel, those which are optimal for the security of our citizens," the Prime Minister, who has been in power for ten years now, told the participants in the memorial service. Netanyahu later got support from experts and commentators who claimed that overthrowing the Hamas regime would aggravate the chaos in Gaza and that the current situation of two rival Palestinian governments in Gaza and Ramallah is ultimately better for Israel's security. If Israel were to try to overthrow the Hamas regime in Gaza, it would serve the anti-Israel agenda of Palestinian Authority leader Mahmoud Abbas, according to this line of thinking. Abbas demands Hamas hand over power in Gaza and has taken all sorts of boycott measures against Gaza to realize his dream of a united Palestinian front in Gaza, Judea and Samaria - which would also resuscitate the so-called Two-State Solution effectively abandoned by the Netanyahu government. In this context, it is also important to note that the Trump Administration is reportedly pushing for the preservation of a separate Palestinian entity in Gaza which would come under the supervision of Egypt and would largely be financed by Qatar. Another consideration which probably played a role in Netanyahu's decision not to start a new ground war in Gaza is that he doesn’t see Hamas as an existential threat to Israel. The Israeli PM apparently wants to prevent the IDF's hands becoming tied to Gaza while Israel has to deal with an ever growing real existential threat on the northern front. Hezbollah with its 140,000 missiles, which can reach every city in Israel, and the Iranian-backed Shiite militias in Syria, which number 80,000 fighters today, pose a much greater threat to Israel. Iran is furthermore using its proxies Hamas and Islamic Jihad to weaken Israel via the relentless terror campaign which started at the end of March five months after Hamas and the Islamic Republic re-conciliated in Tehran but apparently doesn’t want a new Gaza war at this point in time. Netanyahu and the IDF seriously consider the possibility that Iran could start a three front war against Israel in the future via its proxies in Lebanon, Syria and Gaza. The Israeli military is constantly holding massive drills in the north of the country in preparation for this war. There is, however, serious doubt about the ability of the Israeli army to manage such a three front war, let alone win it. A recent report from Maj. Gen. (res.) Yitzhak Brick, the military ombudsman in Israel, claimed that the IDF isn’t prepared enough for such a war. It led to the establishment of an experts panel which was given 45 days to investigate Brick’s claims. The Israeli Ombudsman warned of “deep problems” within the IDF and called on the Foreign Affairs and Defense Committee of the Knesset to investigate the matter. This is apparently “the overall picture of Israel’s security” the Prime Minister referred to during his speech on Wednesday.